When we become open to our own extraordinary abilities and embrace them, you will have reignited that powerhouse within YOU to become the best and happiest YOU. But HOW?? hmm…that is the question that has been asked a million times over..by extraordinary people in hiding. Do you think they Knew when they were born, what they were going to Become? How Legendary they were going to become? But they did eventually Become Extraordinary. The Sole Reason they became Extraordinary is because they had complete and utter BELIEF in their abilities. If you read their life stories you will notice, that none of them became legendary easily. They all had to go through many many hardships like social pressures, physical issues and most of all the lack of understanding from those close to them….they each have NOT become legends without learning along the way, how to keep their passions alive. We are each Extraordinary Legends in the making. This life is a learning ground that teaches us so many lessons each day. Learning and rising above these speed bumps on the way is what Extraordinary really means. Dream BIG: Our Dreams are what give us hope. They make us work towards them. They nudge us positively. Dream Big Big dreams. Visualize YOU already having attained your dream right now. IN this moment KNOW that YOU are awesome. Hold that feeling and then go about your day. You will notice the skip in your step, the boost in your thoughts and the overflowing passion in your heart. You will be extraordinary everyday. Plan SMALL: Paradox to dream big hmm…not really. Every extraordinary Dream requires a plan. Just not those huge elaborate ones. Work in small Baby Steps. Make your plan just for today. Ask yourself- “Right now in this moment, what do I need to do to attain my Big Dream?” The answer is what will be your step by step plan. Every-time you are stuck do this. Ask yourself. You KNOW exactly what you have to do to be Extraordinary…just ask yourself. Be YOU: In the need to be Extraordinary, to be great we start emulating people who already are. In doing so sometimes we forget or sideline our true selves. When really the “extraordinary” part of YOU is in being authentically YOU. Learn from great people, but Be only YOU. Cause you are unique and what you bring to this world, no-one else can. Simplify EVERYTHING: When you simplify your life and yourself, you leave very little room for confusion or clutter… be it physical or emotional. Ridding yourself of negative pressures of the outside world, works very well in bringing out your Extraordinary side. You will not be afraid to try something new. You will not second guess yourself. You will Believe in YOU completely. Smile WIDE: Ever noticed how your heart always is attracted to another person who is smiling? The reason for this attraction is the fact that happiness attracts happiness. You Will smile back even if you are in the grumpiest mood, when someone genuinely flashes you a smile. Be the initiator of that magnetic Smile, for it creates a chain of extraordinary happiness. Even in your small way, you are becoming the initiator of happiness…and that is extraordinary and so very simple. There is no rocket science to being Extraordinary. Just the right doses of BELIEF and HOPE. Do you have any ways to bring out that Extraordinary side? What is Your Extraordinary power? Share your beautiful thoughts in the comments below. 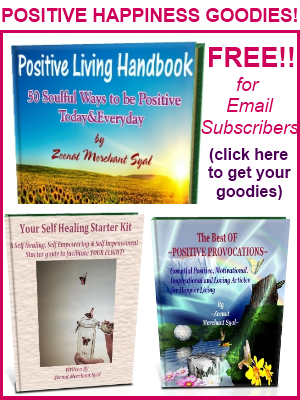 Get the latest articles(FREE) as soon as they are published, by Email OR RSS.PLUS if you are an Email Subscriber, You get My Free Ebook “The Best of Positive Provocations”+ “Your Self Healing Starter Kit”+a free Positive Newsletter on the 15th of every month with the months highlights+Positive Living Affirmations +New Tips and articles which are Exclusively for Email Subscribers and not published anywhere else. Come Join the facebook community & follow me on Twitter for Positive Provocations Everyday! Your wise words are powerful. I believe to be extraordinary we need to not only be our authentic selves, but to go above and beyond the level of service that anyone would expect in all that we do. I want the people I come in contact with to leave feeling happy about life, hopeful about their future and uplifted by their experience with me. I like to think that each of us is a candle with the power to light everyone we meet on our path. Ohh be the candle….and may we each light a million others to meet their true path. Such a beautiful and insightful comment. Thank you! I used to be like you…the fretter of all details! But really life has an amazing way of teaching us the alternative..and that alternative is really extraordinary. Thank you for your lovely comment here sweetie! *You* my friend, are absolutely extraordinary: who you are, what you stand for, how generously you share from your heart! This stands out to me most: “We are each Extraordinary Legends in the making”..in the making..meaning we may plateau yes, but for the most part we are stretching and growing and learning and being..exactly who we are meant to be in this moment and allowing for Universe/God/Nature..to expand that to far more than we could imagine..We don’t reach one “goal” then stop..we use the momentum from that to *keep going*, creating, loving, sharing.. Thank you so so much for your beauty-filled comment here. Beautiful post. I love how you walk your talk about simplicity by keeping it nice and simple and to the point. Much easier to remember and act on that way. And I have to say, I love love LOVE that image! Did you do that?! It certainly fits with the whole expression of you that is this post. So glad you liked this post…some how I feel like happiness and simplicity go hand in hand. The more we confuse and entwine with details…the more we deviate from the root of it all..right? Thank you so so much for sharing your wonderful thoughts here. Reading this was energizing! It made me smile and feel so alive with the power of my dreams. You’re a joy Zeenat :~D … happy happy day to you! May you be energized and extraordinarily powerful always. Thanks for the beautiful message. I love #3. 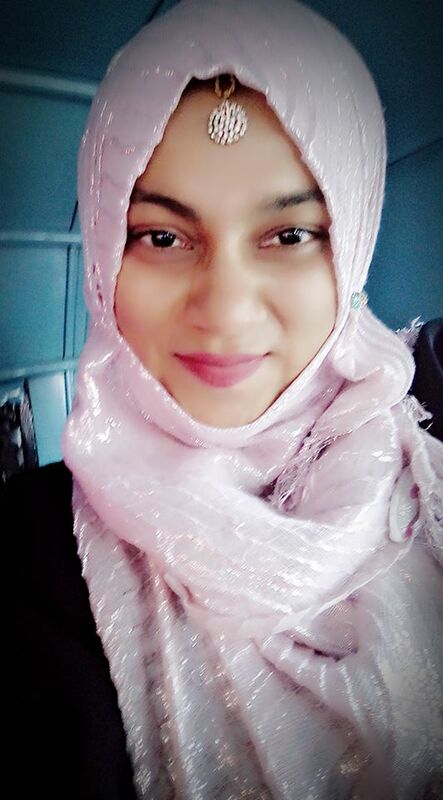 After years of trying to be like everyone else or different than what I was, I’m finally me – and it fits so darned well:) Take care Zeenat! I’m so glad you are not fitting into you perfectly. I learn so much from you everytime we communicate!…. Its amazing how the physical cleansing can also lead to a great simplification emotionally too. I do the recycling and donating every month or whenever I am feeling muddled…its such a release. Such good methods! Simple, understandable, and DOABLE. I love the directness of your spiritual lessons in bricklaying. It’s as the word says. Extraordinary is ordinary + extra – doing the ordinary, the simple, but being consistent so that it builds outward and upward on a foundation of goodness. It’s a pleasure to consider the ideas you offer, Z.
I’m glad you loved this article and found these tips practical….. This is truly the ABC’s of being extraordinary it simple steps. It’s one of my all time favorite articles. I love the way you focus on BELIEF as the mover and shaker behind achieving extraordinary. You are on such a beautiful roll these days. I personally have been forward and back in the “belief” department. But when it sticks…oh its the best feeling. That complete and utter beleif is what legends are made of. I’m so happy that these words here are a source of peace to you. I hope adn pray you are able to incorporate them into your life. So Much love for stopping by and sharing your thoughts. I really enjoyed your post. I have a strong feeling that all of us don’t realize just how extraordinary we are. Perhaps we see a commercial or a movie or a television program that features a “hero” that gets out of trouble or helps someone out. Perhaps many of us, as we live day to day, feel boring compared to these heroes. I really liked this post and your suggestions. Great job! You have the right feeling. We dont realize…atleast what i think is we are so caught up in the mundane everyday that we forget to give ourself the time and opportunity to shine. Hero’s are ordinary people gone extraordinary..and that can be you and me on a daily basis. Wouldn’t the world be the best place…if all of us thought that way and truly embraced our “extraordinary” side…?? Hoping all is well on your end. I had to come over here after reading the title of your post on Powered by Intuition. Being extraordinary doesn’t require magical abilities or genius IQs, it really just requires simple steps like the ones you listed in this post. You write a blog on being extraordinary..wow! Here I’m feeling all empowered with writing one post..and there you have a whole blog dedicated to this…so awesome! Sometimes a meeting a destined..and hence when you came here…it was just meant to be. I’m so glad you came over and liked this post. Hope to see more of you on the blog o sphere. And if there is anything I can do for you..just drop me a line. I like the dream big/plan small connection. What can I do right now? That is a powerful question that focuses us on the present, the only time when we can do anything at all. And that quote from a course in miracles is just one of my favorites :)..thank you for sharing that energy here today. I like your style of creating good and quality articles to your readers. I think there are so many ways to become an extraordinary being, but sometimes men forgotten the fact that GOD is someone behind whatever accomplishments in our life. HE is belittled and dump in other side. Maybe, in some ways, we thanks GOD for whatever we have in our lives, whether it is good or bad. Thanks for your great and inspiring post. Keep it up! I’m so happy you liked this article. I completely believe that God guides us in every moment. very nice, it is really uplifting the soul and mind.